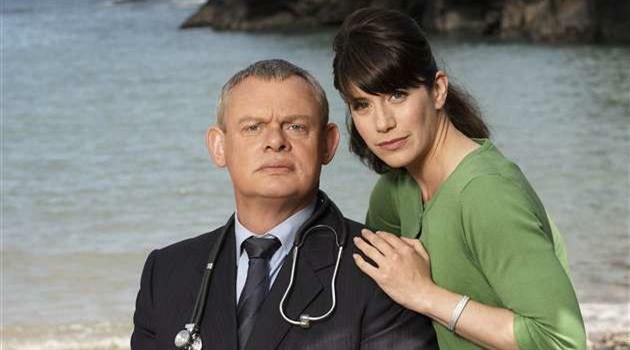 The Great Doc Martin (Re) Watch Continues – the Conclusion of Series 1! 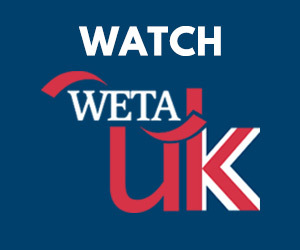 The Doc Martin viewing party rolls on here at Telly Visions this week as we polish off Series 1. (I feel so accomplished typing that!) I am quite looking forward to seeing how this series wraps up and where we leave everyone heading into Series 2. I feel like these episodes have done a good job of setting up our characters and introducing us to Portwenn and the folks who live there. It’s slowly growing on me, so let’s continue on with the ride! Click through and come chat with me! Leave your thoughts, favorite moments, funny lines, etc. in the comments. This is the One Where: An old love interest of Aunt Joan’s appears in Portwenn, but Martin discovers he has a heart condition. And Martin gets an admirer: he becomes the object of a 15 year old girl’s crush. The Symmetry is Lovely. I wasn’t crazy about the A-plot plot of this episode – long lost love returns to see the woman he left behind X number of years ago is a storyline that I generally find tiresome – but I did quite enjoy the way this episode is structured around three very different relationships (or at least male-female interactions) and how they don’t or shouldn’t work out, no matter how much one of the people involved might want it to. There were some interesting parallels between the Joan/John, Martin/Melanie and Al/Elaine storylines and an rather deft interweaving of themes that ran through all three. Sometimes, you’re not meant to get the person you want, for whatever reason. It was very well done. They Surf in Portwenn? This is a thing? Really? Here’s my learning something new for the day. I am kind of sad though that that run-in with the surfboard is basically the only interaction Martin and Louisa get all episode. A Surprising Ending. I have to admit – half the reason I find the whole “long lost love suddenly returning” trope irritating is that it usually functions as one or both of two things: an easy way to introduce a pre-packaged love interest for a character who doesn’t currently have any viable options on the canvas and/or it usually features a ridiculously implausible happy ending, where years of personal growth and/or experiences are glossed over simply to get a couple together. And I loved that this episode didn’t do any of those things. We find out that Joan isn’t the saint we may have thought – i.e her affair with John while married to her previous husband – and while Joan does find out by the end that John’s lied to her about his illness and his reasons for leaving, it’s too late for a grand reunion. It’s bittersweet all around, which is the best way to handle a (generally very cliché) plot like this. Martin Gets a Cake, or, Weird Small Town Courting Rituals. Despite young Melanie’s truly annoying screaming during her first visit to Martin’s office, all their interactions were hilarious. Martin’s complete obliviousness to her intentions, Melanie’s over the top flirting (“Did you know our names begin with the same letter?”) and Mark’s explanation for her giving him a cake. All fantastic. Wherein I Can’t Help It. Al and Elaine are adorable together. He made her an iPod mixtape, you guys! How cute is that? Even though it was so obvious that every time Elaine picked up the phone she wanted it to be her boyfriend Greg and was upset when it wasn’t, and is just being terribly unfair to Al all around. This is the One Where: The town plays a prank on Martin that forces him to face his fear of blood, and a young boy with a ruptured spleen needs immediate surgery. Martin Likes Portwenn! The look on his face when Adrian was bashing Portwenn was priceless! For all that he never has a kind thing to say about the town or anything in it, it’s clear it’s growing on him. Which of course makes you feel even worse about the villagers decision to prank him with the fake blood incident. Out of the Mouths of Children. Favorite scene by far was little Peter – half out of it from pain – is the one to tell Martin that he has to let people tease him, so they’ll know that he isn’t an outsider. I am not sure I entirely agree with that bit of psychology (teasing is something friends do but that just seemed so malicious), but the scene was so sweet. I'm glad Lousia's words sunk in for Peter and I may have actually said "Awwwww!" outloud when he said them to Martin. I Think *I* Might Have Blood Phobia Now. I loved loved loved Martin overcoming his fears to save the boy (and doing it all in a moving ambulance), but I didn’t at all need to see the entire bit with him using his own fingers as a makeshift clamp. Ick. And, of course, there’s the kiss in the cab. Even I’m not made of stone – it was very sweet. Though, really, Martin, a dental hygiene comment. Really?! I am fairly certain that I’ve actually never liked Louisa more than when she kicked him out of the cab for that. Well done! Martin and Louisa have kissed, Martin’s big secret is out, and we’ve basically learned that no one in Portwenn is perfect. (I do wish Martin would just accept that poor dog though!) Bring on Series 2! This week on "Poldark": Ross does Westminster, Geoffrey Charles is all grown up and George makes a vile new friend. The second episode of Unforgotten sees all our suspects rattled, even if no one will talk yet. The fifth episode of Jamestown is a wild mess, covering everything from unhygienic surgery to possible revolution with a murder confession in between.